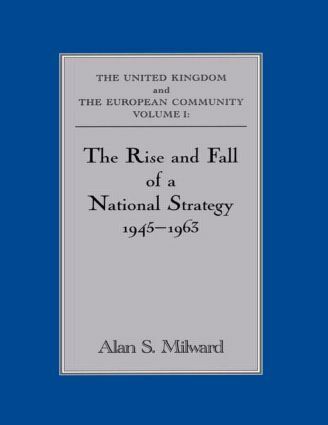 This text analyzes British official thinking behind the UK's standing aloof from the moves after 1945 towards European economic collaboration, leading to the establishment of ECSC and the EEC in the 1950s. It deals with the later change of tack (1961), covers the organization in Whitehall for the negotiations with the Communities, and the major problem areas - the Commonwealth, British agriculture, financial implications of British membership, sovereignty, and the future of EFTA. The Government Official History series began in 1919 with wartime histories, and the peacetime series was inaugurated in 1966 by Harold Wilson. The aim of the series is to produce major histories in their own right, compiled by historians eminent in the field, who are afforded free access to all relevant material in the official archives. The Histories also provide a trusted secondary source for other historians and researchers while the official records are not in the public domain. The main criteria for selection of topics are that the histories should record important episodes or themes of British history while the official records can still be supplemented by the recollections of key players; and that they should be of general interest, and, preferably, involve the records of more than one government department.